Piedāvājam iegādāties Philips 31.5" monitoru ar 4K UHD 3840x2160 izšķirtspēju. VA panelis šim monitoram piešķir augstus krāsu atbilstības rādītājus un uzlabotu skata leņķi. 4ms ātrs reakcijas laiks šo monitoru padara ideāli piemērotu datorspēļu un dinamisku filmu baudīšanai. Display > Display diagonal - 31.5 "
The latest Philips monitors use high quality templates that allow you to display images at a resolution UltraClear, 4K UHD (3840 x 2160), and to breathe life into every image and every graphics. It's the perfect choice for discerning designers working with CAD, graphic designers using 3D applications or financiers who use every day large spreadsheets. Ultracolor technology provides a wider color spectrum and result in a better picture. A wider range of colors resulting from the application of technology ULTRACOLOR means a more natural greenery, vibrant red and deep shades of blue. Ultracolor technology revives multimedia and images, and even a positive impact on the productivity of the device. VA LED Monitor Philips uses advanced technology, multi-image adjustment vertically, which provides an extremely high static contrast ratio, and thus - very vivid, bright picture. It is ideal both for standard office applications, as well as for viewing photos, web pages, videos and games and using demanding graphics applications. Optimized pixel management technology provides an extra wide viewing angles - 178/178 degrees - which translates into superior image clarity. 10-bit display provides a rich depth thanks to 1,074 billion colors and 12-bit processing - allows you to play the full natural color gradation and no apparent problems with the unnatural presentation of colors. Because of the way brightness control screens with LED backlighting, some users noticed flickering on their screens, which causes visual fatigue. Flicker-free technology Philips uses a new solution to adjust the brightness and reduce flicker, allowing for greater viewing experience. The base SmartErgoBase allows ergonomic use of the monitor and organize cables. Adjustable height, angle and tilt base for comfortable working all day and discharge muscle tension. The system for organizing cables reduces clutter on your desk and allows you to maintain order. Mobile High Definition Link (MHL) is a mobile audio / video interface for direct connection to mobile phones and other portable devices to high-resolution displays. An optional MHL cable allows you to easily connect a portable device that supports MHL to a large Philips MHL display, and observing how HD movies to life with digital sound. You can now enjoy games, photos and other applications on the big screen, and simultaneously charge your mobile device, you do not run out of energy in it. Enjoy clear and colorful images and audio through a single connection the wired. The device with HDMI is equipped with the equipment needed to receive the high quality of the signal transmitted via HDMI. Using a single HDMI cable can transfer digital pictures (resolution up to 4K / UHD at 60 Hz) and high quality sound from your computer or from any number of sources of audio-visual (including set-top boxes, DVD players, AV receivers and video cameras). 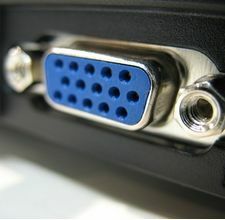 DisplayPort enables digital connection of a computer monitor without any conversion. With greater capabilities than those offered by standard DVI is able to handle cables up to 15 meters and data transfer speed of 10.8 Gb / s. High performance with no lag provide the fastest imaging and high refresh rate. Thanks DisplayPort connector works well not only for normal use in the office or at home, but also while playing games, watching movies, image editing etc. It also ensures cooperation with other devices through the use of various adapters. Monitor Philips matrix ultra-high resolution and with MultiView technology supports a wide range of sources - both in the office and at home. MultiView technology allows connection of two active devices, and simultaneous display of each of them, so you can, for example, to perform efficiently at the same time many tasks on the desktop computer and notebook. You can also easily divide the screen into two parts, to simultaneously watch the game from the decoder and browse the Internet or keep track of the latest news enabled by voice in a small window while editing the entry to your blog. The display is equipped with two built-in stereo speakers with high quality. They may be on the front, bottom, top, back, etc., Depending on model and design. These Philips monitors are compatible with a wide range of the most advanced standards of connections - including VGA, DisplayPort, HDMI universal - so you are able to use uncompressed audio and video signals in high definition. New connections DisplayPort and HDMI 2.0 now allow the use of 4K resolution (60 Hz) and get attractive visual effects. USB connections provide high-speed data transfer and further enhance the versatility of the device. With support for so many standards connections the new monitor Philips will serve you for many years! Standard Super Speed USB 3.0 provides data transfer at 5.0 Gb / s, which is 10 times faster than standard USB 2.0, significantly reducing copying and moving data, thus allowing you to save time and money. With more bandwidth, very fast transmission of data, improved power management and overall excellent performance USB 3.0 revolutionizes the electronic industry worldwide and allows you to use storage devices with large capacities. Technology Sync-N-Go provides a faster, without waiting for the release of the band. The investments made in equipment compatible with USB 2.0 remains secure because the technology is backward compatible.